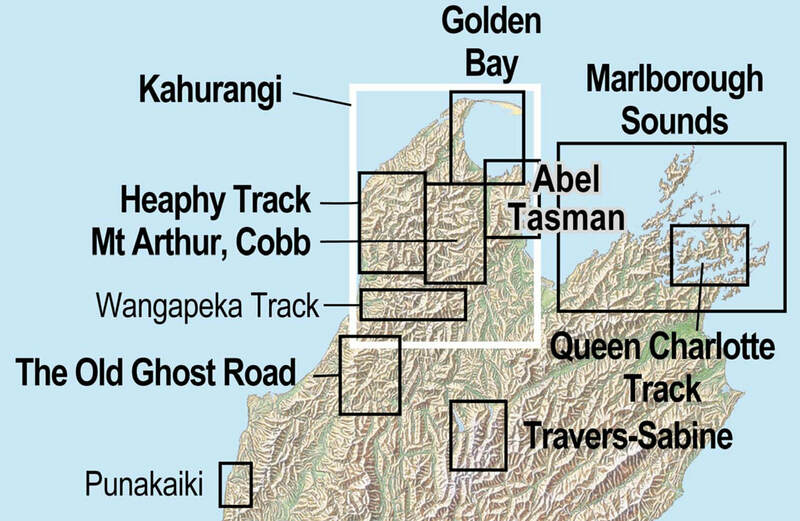 Showing the popular Abel Tasman Coast Track Great Walk as well as the Inland Track, this map shows almost all of the Abel Tasman National Park giving emphasis to the tracks, the huts and camping grounds along the way. The boundaries of the National Park and other reserves are also shown. The 1:40 000 scale increases the utility of the map by allowing fine details to be seen. A fully-detailed topographic background is supplemented by tramping information and historical notes. Abel Tasman Guides – www.abeltasmanguides.co.nz for unguided and guided walks, kayaking, accommodation etc. Large format 600x840mm Folded to 120x210mm.